Q: Why do you trap stoats and rats? A: After extensive research, the stoat has been identified as the main predator of kiwi chicks. In the wild, only 5% of kiwi chicks survive after the 1st 6 months of their life due to stoats and other introduced predators - like ferrets, rats, hedgehogs and feral cats and dogs. The DoC 150, 200 and 250 kill traps have been humane approved to ensure minimal suffering to the target animal. For more information, about the self-setting traps we use, please click here. 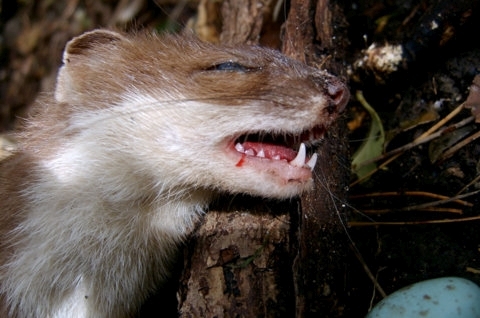 The arch-enemy of much of our native NZ wildlife, the stoat (mustela erminea) is an agile carnivore and carrion-eater that is able to climb trees to raid birds nests and go underground to attack kiwi chicks and eggs in their burrows. They also predate upon insects (especially weta) rodents, lizards, freshwater crayfish (koura), fish, rabbits and hares. Stoats are believed to be primarily responsible for the extinction of some species of indigenous New Zealand birds (Laughing Owl, Bush Wren and Native Thrush) and have certainly caused massive declines in the population of many other island and mainland bird species. Accordingly, they have become 'enemy No. 1' for our legions of volunteer trappers. Q: In Australia, possums are a protected species; Why are they such an unwanted pest in New Zealand? A: Like most introduced species into New Zealand, the Australian "possum" has been an ecological disaster for native plants and animals. Our NZ bush tucker suits them so well that, despite our efforts to control them, they have increased both in physical size and number to an estimated population of 40 million today! 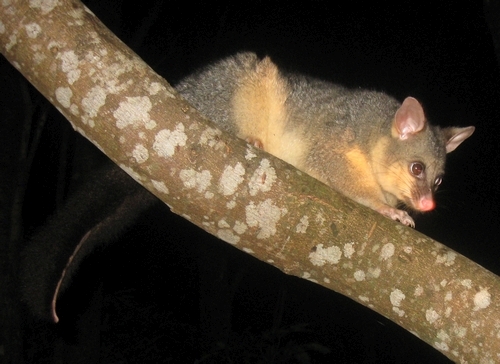 Since their introduction in 1837 to establish a trade for their fur, the Australian brush-tailed possums have competed with local fauna for food. 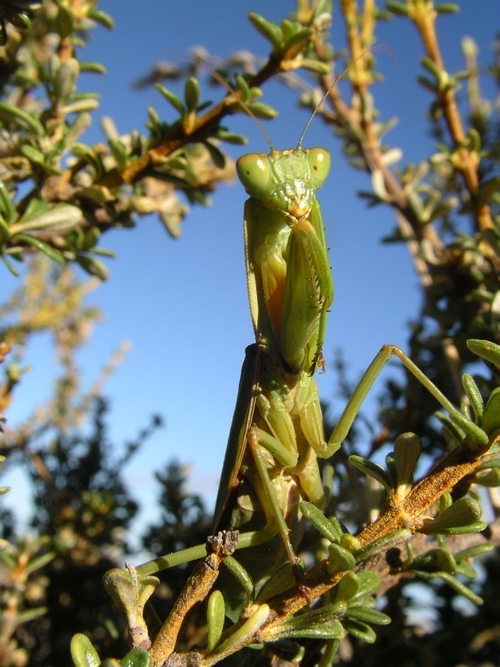 As omnivores, they not only consume vast quantities of vegetation and berries - and often to the local extinction of their preferred dietary targets - but also they are known to raid birds nests and kiwi burrows for eggs and young chicks, eating native lizards, snails, worms, wetas and other insects. In short, they predate upon - and compete for food with - much of our native wildlife, to the extent that they threaten their very existence. 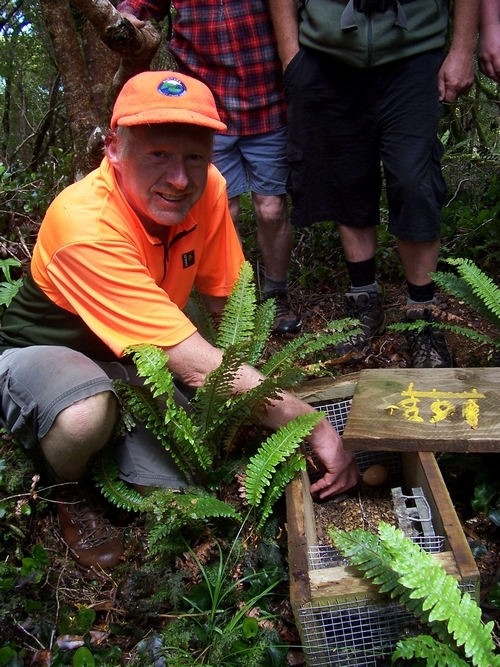 In areas where possums have been eradicated or severely reduced in population, there is always a marked return of native birds and plants - as we have witnessed in the Rimutaka Forest Park. Q: Can I take my dog into the Remutaka Forest Park? A: Yes, but there are restrictions in certain areas, including the Kiwi Release area - where dogs are excluded and must be kept on a leash at all times on the adjacent tracks - and the Scientific Reserve, where dogs are prohibited from entry. Q: Why do I need to keep my dog on a lead? S/he is a good dog; very obedient. A: The scent of kiwi is almost irresistible to most dogs unless they have received "avian aversion training" specifically for kiwi. Unlike other birds, kiwi do not have a strong sternum (breast bone), so even a dog with a very soft mouth can fatally damage a kiwi. 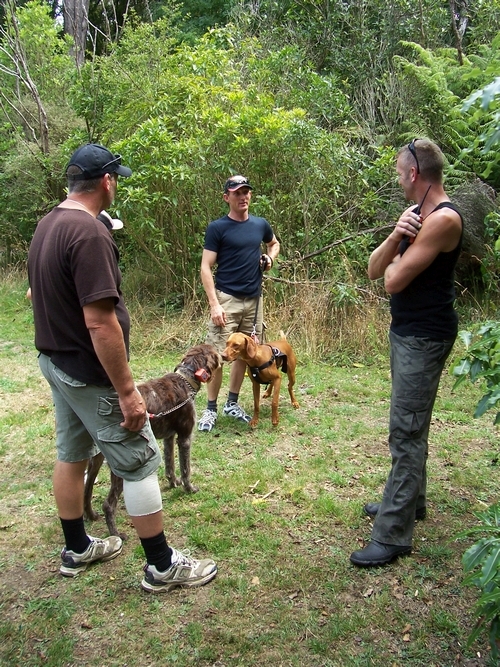 The Remutaka Conservation Trust provides regular Kiwi Aversion Training sessions for dogs every year. Q. I would like more information about the huts for hire in the Remutaka Forest Park. Where should I look first? Q: What is the cost of hiring a hut in the Orongorongo Valley and what are the terms and conditions? Q: Where do I go to book a hut (a.k.a. bush cabin) in the Orongorongos/ Remutaka Forest Park? Q: I want to become a volunteer, but I don't want to trap or kill pest animals. How can I help? A: There are many different roles and activities available for people, particularly on the administration/organisational part of the Trust's work, plus other projects, like tree planting or tunnel monitoring/ acoustic recorder monitoring. You don't have to be "super-fit" either, or indeed, have anything to do with the trapping network activities. So email volunteers@remutaka.nz to express your interest and get more information! Stoat-trapper Simon checks a DOC 200 trap for 'customers' on the MSR-4 trap line whilst his 'band of merry men' look on. 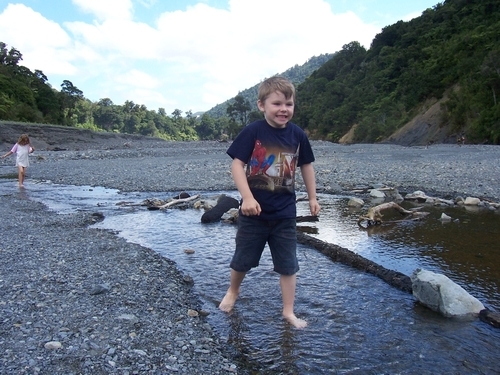 Children playing in the Turere Stream at its confluence with the Orongorongo River. 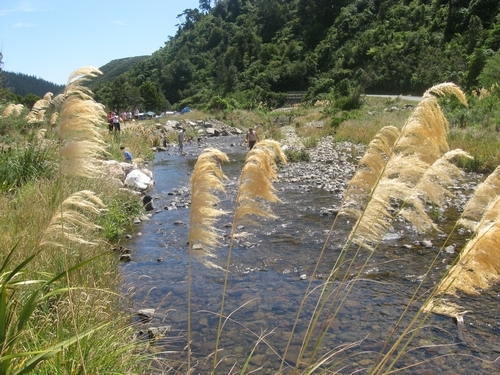 The Catchpool Centre - Remutaka Forest Park - is the assembly point for volunteers participating in many Trust events and, in particular, for Catchpool Restoration Project Volunteer Days. This convention centre is well-equipped - and is available for hire - through the Wellington DOC Visitor Centre. Photo credit: PC. Q: I'd like to book the Catchpool Centre for a private event or workshop. Where can I do this and how do I get more information about this venue hire opportunity? 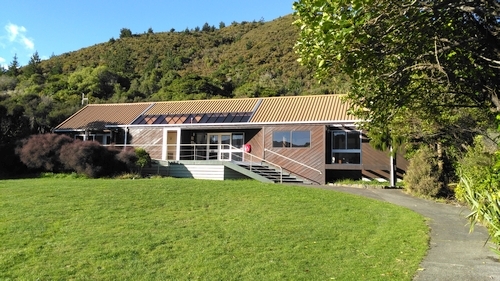 A: Bookings for the Catchpool Centre, Remutaka Forest Park can be made at the counter of the DOC Wellington Visitor Centre at 18 Manners Street, Te Aro, Wellington, New Zealand. (Or simply Telephone: +64 4 384 7770 for more information). Helping to keep some other insect pests like wasps at bay, these well-camouflaged carnivores sometimes look like they are praying (with their front legs poised to strike) whilst stalking their prey! 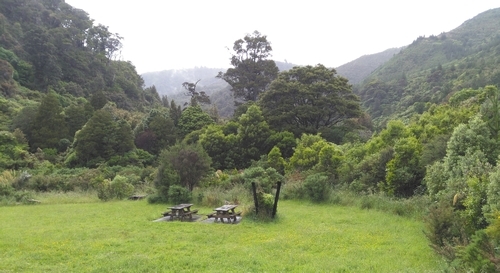 One of the many picturesque Catchpool picnic areas near the top car park adjacent to our eco-hotspot. There are free, gas-fired barbecues provided for public use in several locations. 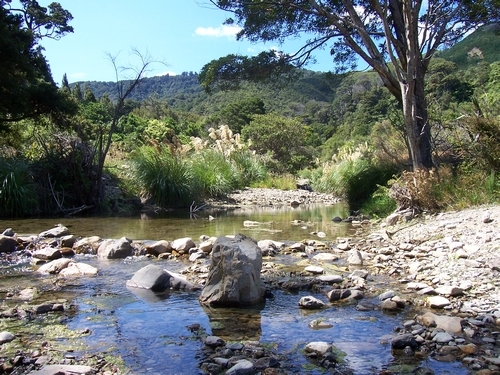 Catchpool Stream below the ford and adjacent to the DOC camp ground. 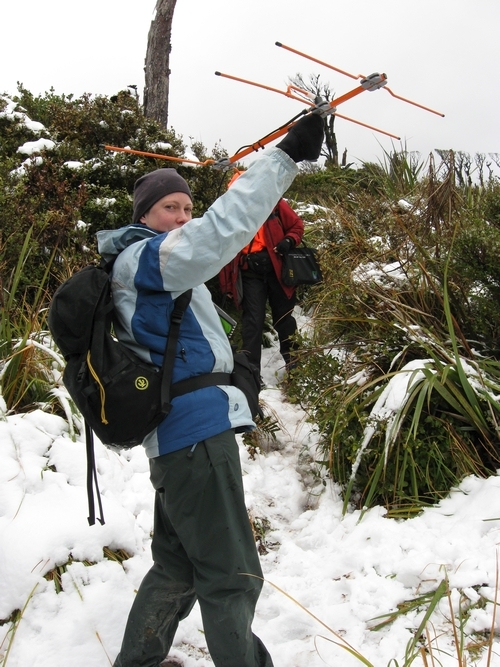 Radio tracking kiwi with a VHF receiver and Yagi antenna on the McKerrow Track in the snow during winter. Photo credit: PC.